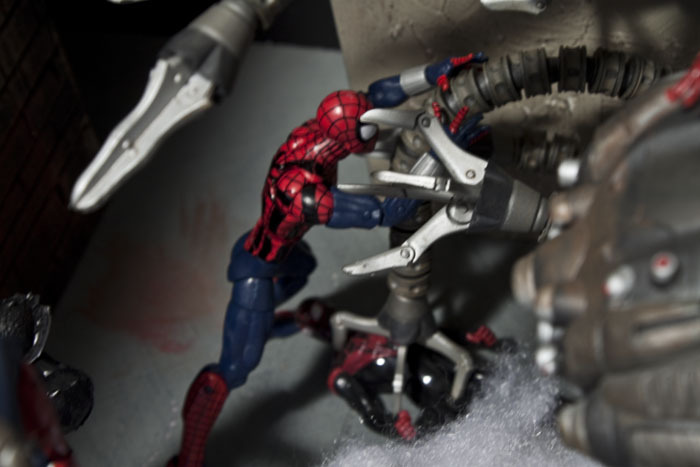 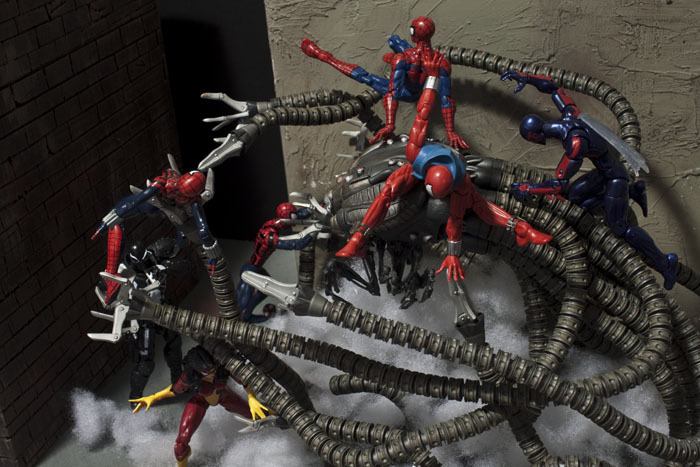 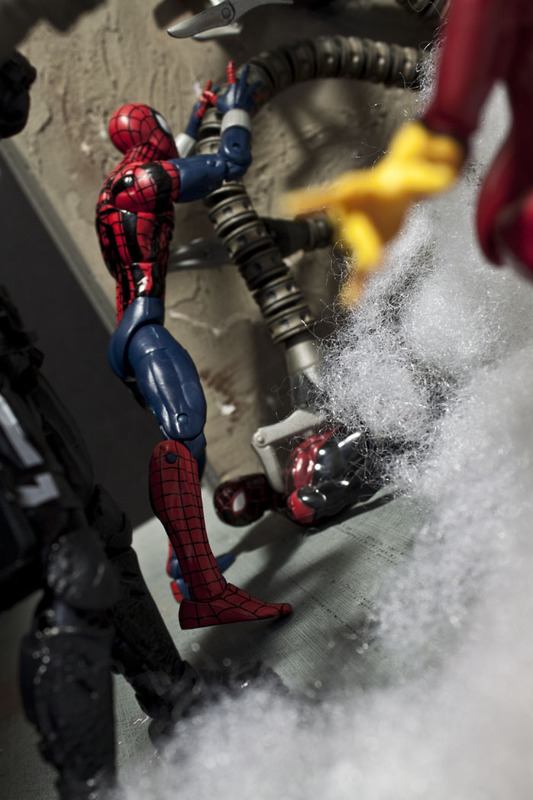 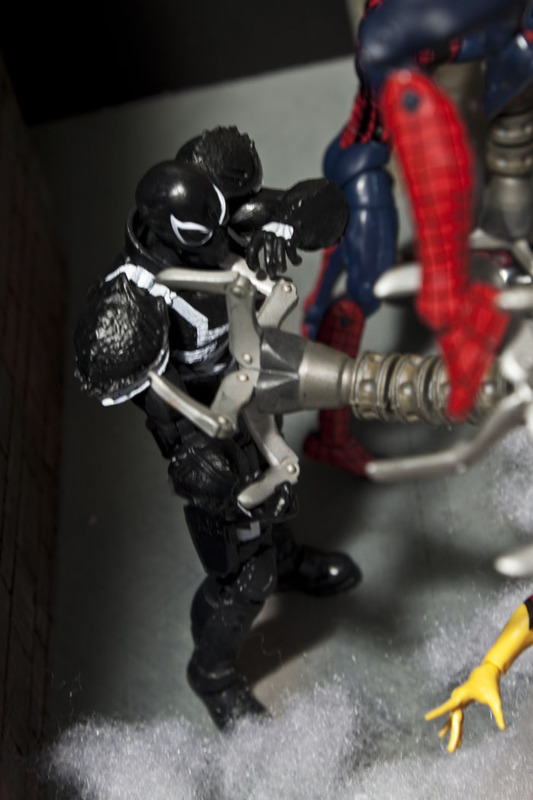 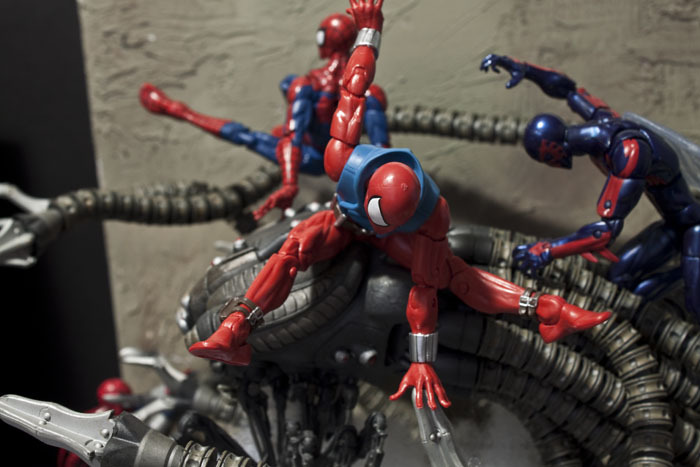 Spider-Man and his webbed friends fight off another mechanical creation. 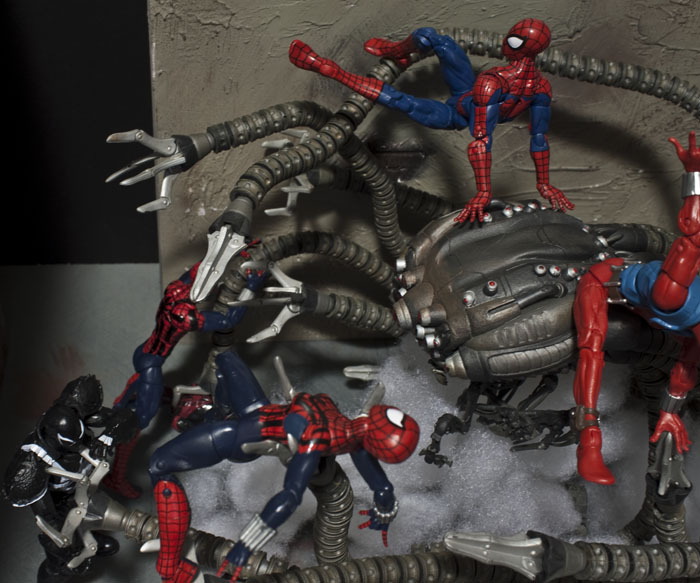 Spider-Man & related figures from Hasbro. 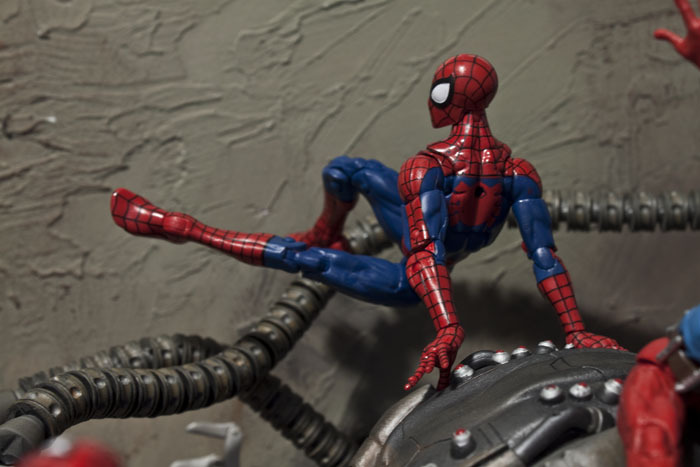 Matrix Sentinel from McFarlane Toys.